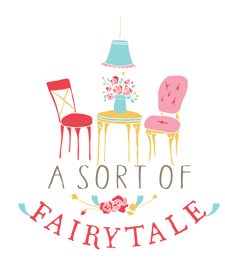 A Sort Of Fairytale: A Winner and The Country Living Fair! 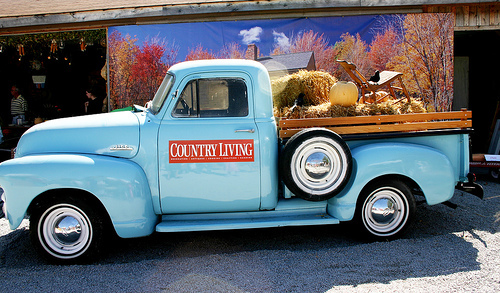 A Winner and The Country Living Fair! "And I posted it on my sidebar!!! Have a fabulous weekend!!!" Congratulations! I will be e-mailing you for send to information. You will be getting the Fall issue of Flea Market Style Magazine, Two Cath Kidston Tea Towels, and One Flash Card Banner Bunting...woo hoo! There are going to be so many swoon worthy vendors there! I am bananas about these chairs! I am flying there, so pretty sure I won't be bringing home a chair...sob. Are any of you going this year too? Congratulations to the winner of your awesome give-a-way ! I am SO jealous of your trip to the fair - wowzers, I'd love to go to something like that !!!! HAVE FUN !!!! OOO, I have always wanted to go to the CL fair. i hope you enjoy every minute of your trip to the cl fair. i can't wait to read all about it. enjoy the beautiful weekend, stacey. Have a fabulous trip. Love those chairs too!! Omg! Omg! Omg! I am soooo excited, can you tell?? I leave on Wed...but will be at the fair Fri & probably Saturday. If you have time, do you want to try to meet up for a bit? Oh, and I am staying at a Staybridge Suites nearby. I can't wait!!! Those chairs!!!! Love them. Have fun at the fair. Oh, how I WISH I was going! I've loved Country Living magazine for so many years I can't even count. No, I'll be packing. And I've got my issue of Flea Market Style magazine to keep me company that you sent to me! You have a wonderful time for us both, okay? I have never been, which is pretty silly since I live in the area. But I do plan to go this weekend for the first time. There is also the Springfield Antique Show & Flea Market Extravaganza going on at the same time. Springfield is about an hour from Columbus and they have 2,000+ vendors there. Have fun! I will be there on Saturday. I went to the first one they had in Ohio near Lebanon. I am returning this year for the first time to the Columbus location. I live about 30 miles from the event. We should wear ribbons or something so we know when we see another blogger. Stacy!!! Thank you so much!!! I can't believe I won!!! I sent you my details via personal email! ;) Can't wait to get all those lovely goodies!!! Also, you are SOOOO lucky to be going to the CL Fair...so jealous!!! I'll have to save up to make a trip out next year! lol Have fun!!! I'm sure you will!!! Congrats to Jessie for winning your wonderful giveaway! CL's fair should be great, take pictures so we can see all the neat things they will have! Oh wow, you are SO lucky to be going to the Country Living fair! I would LOVE to fly up there and go to it some year! It looks amazing! I will be there!!! I will be flying solo...no kids NO one!! I'm actually pretty excited about the alone time, but I if you have time I would love to meet you! I will be there Friday and Sat. look at you go, go, go! i wish something like this would happen in RI!